Sequel to The Dragon Hammer. 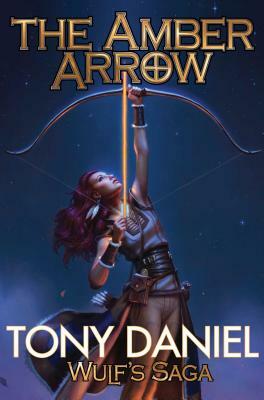 Tony Daniel is the author of nine science fiction books, the latest of which are Guardian of Night and The Dragon Hammer, as well as an award-winning short story collection, The Robot's Twilight Companion. He is the coauthor, with David Drake, of General series entries The Heretic and The Savior. He is also the author of Star Trek Original Series novels Devil's Bargain and Savage Trade. Daniel is a Hugo finalist for his story "Life on the Moon," which also won the Asimov's Reader's Choice Award. Daniel's short fiction has been much anthologized and has been collected in multiple year's best compilations. Daniel has also cowritten screenplays for SyFy Channel and the Chiller Channel. During the early 2000s, he was the writer and director of numerous audio dramas for critically-acclaimed SCIFI.COM's Seeing Ear Theatre. Born in Alabama, Daniel has lived in St. Louis, Los Angeles, Seattle, Prague, and New York City. He now lives in Wake Forest, North Carolina with his wife and two children.